Even conservative pundit Rush Limbaugh came out in favour of some gun regulation. In the wake of the horrific shooting at Marjory Stoneman Douglas High School this week, several Republican lawmakers broke with their party’s historic position and called for “common sense” gun legislation. 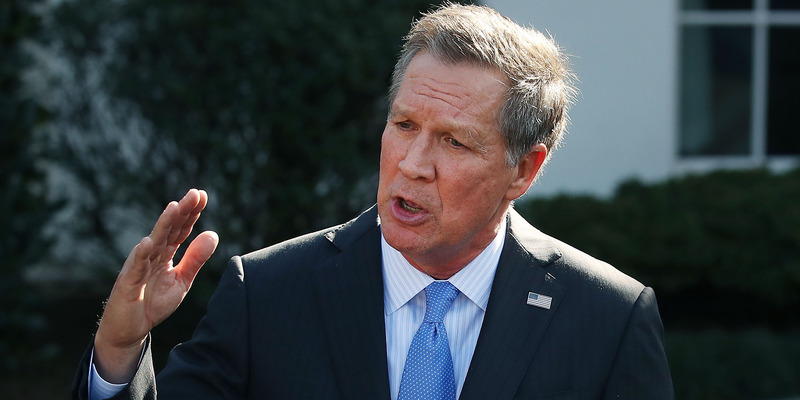 “If you’re a strong Second Amendment person, you need to slow down and take a look at reasonable things that can be done,” the governor said. Curbelo did not expand on what exactly he hoped to do, but his words seemed to echo Kasich’s calls for moderation. On NBC’s “Meet the Press,” Sen. James Lankford told host Chuck Todd that he was in favour of stricter regulations. But Lankford defended the use of the AR-15 rifle – the weapon 19-year-old shooter Nikolas Cruz used to kill 17 people in Parkland, Florida – saying a lot of people use it to hunt. AR-15 have been used in several recent mass shootings, and have gained notoriety for their military-grade design. Several efforts to ban the weapon at the federal level have failed, as did legislation last year to ban bump stocks, attachments that can be used to increase rifles’ fire rate and make them function like assault rifles. 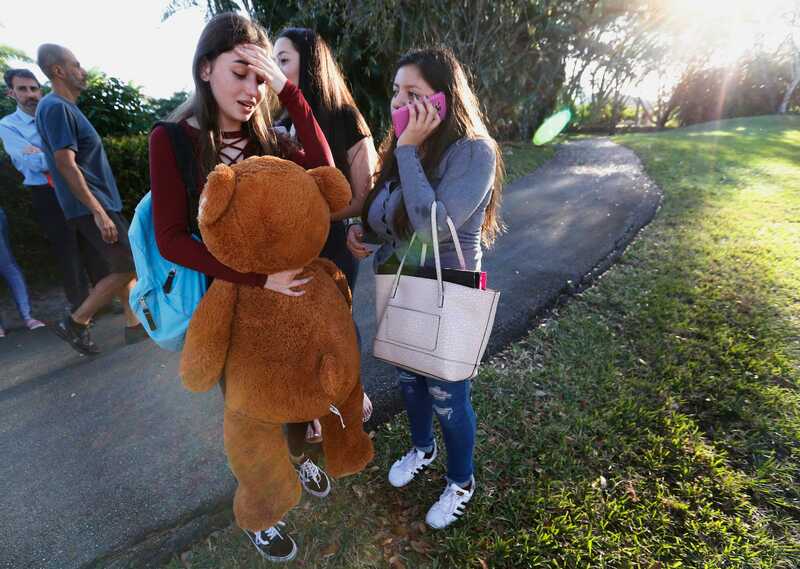 Wilfredo LeeStudents wait to be picked up after a shooting at Marjory Stoneman Douglas High School in Parkland, Fla., Wednesday, Feb. 14, 2018. In the wake of the devastating shooting – which was the most deadly school shooting since 2012’s Sandy Hook massacre – many of the high school students who survived the ordeal have voiced their support for sensible gun regulation, and have called on lawmakers to act. Marjory Stoneman Douglas junior Cameron Kasky made a major announcement on “Fox News Sunday” about his and his classmates’ plan to keep the conversation going. Also appearing on Fox, talk show host Rush Limbaugh agreed that more needed to be done – but seemed to throw cold water on the students’ idea.